On his very first day as a television pundit, Jose Mourinho revealed that out of all the clubs he’s eve coaches, Internazionale Milano is the best. As we already told everybody who cared about what Jose Mourinho was going to do after getting sacked by Manchester United, Jose Mourinho came back to the public eye by revealing that Internazionale Milano is the best club he’s ever had the chance to coach. The Portuguese manager started a new job for BeIn Sports network on Thursday, he previously agreed that he wouldn’t speak anything about his most recent job at Manchester United but he did respond questions about his other former jobs. The manager confirmed that he won’t retire from managing football yet because he considers himself too young to do that, Mourinho spoke about many topics during a small round of questions but the most interesting one was when they asked him which was the best club he ever coached. Many would think that Real Madrid was the most competitive squad Mourinho thinks he had throughout his whole career, but anybody who thinks that would be completely wrong as the Portuguese manager offered another one of his honest answers to a question that was clearly meant to put him on the spot. The manager wanted to explain in detail why he made this decision, Internazionale Milano is the club in which he won a treble after all. During his time with the Italian club, we can easily argue that Jose Mourinho experienced the very best moments of his career as a professional manager and he truly touched the sky during his time there. Defeating Pep Guardiola’s Barcelona was no small feat during that time, specifically because the Catalan club from that era is still considered one of the best clubs in football history and Inter beat them at their best moment. 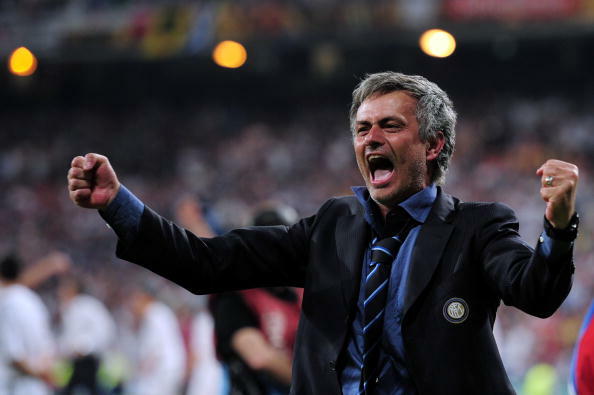 “I have to say Inter because we won everything,” said Mourinho on BeIn Sports. “We won all the competitions, won the treble, beat the best team in the world Barcelona 3-1, won against Bayern Munich in the final 2-0, won the Italian league with a fantastic amount of points, won the cup, won three finals in ten days, I have to say are the best team,” he concluded. This response is also a clear dig at three specific clubs that Mourinho coached, the first one being Manchester United as he truly failed with the Red Devils and it’s the most recent job he left. The second one is Chelsea, which is arguably one of the least historic clubs he coached but should be at the top of the list because the English club was the first elite institution that gave him a chance to grow as a professional. But hands down the biggest dis of this statement was against Real Madrid, a club that is considered by many as the most successful club in football history and gave Mourinho the opportunity of a lifetime. But Jose will always remain true to his personality, he would never mention any of these other clubs above Inter because that’s just the way his mind works. We bet all of you that he would even pick FC Porto over any of the other two clubs, simply because he won his first Champions League with the Portuguese squad. Watching Jose Mourinho working as a pundit for television, means that we are in for a fun time with the Portuguese manager’s honesty and dry humor. Which club is the best Jose Mourinho ever managed in your opinion? Please share your thoughts in the comment section down below.